Current trends give a much softer less formal feel. While curls will always be a big part of the picture, we are now seeing looser, larger, much softer curls. 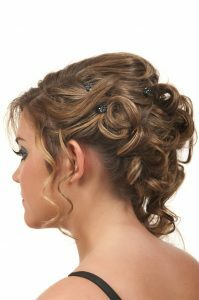 We are also seeing formal hairstyles that leave all, or most of the hair down, giving a more whimsical feel. 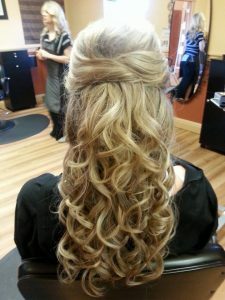 Popular options include half-up curls, with tendrils around the face, or curls that are all gathered over one shoulder. Braids are still being largely incorporated as well. 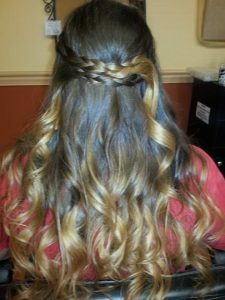 They give an almost childlike and innocent feel to a very grown up formal hairstyle and can be done in several styles, french, fishtail, lace and waterfall braids are amongst the most popular. Your braid can also be used to pull the hair off to one side, away from the face, or as an accent to a bun or ponytail. Smooth volume is what we are seeing a lot of as well. Hair that has the height in the crown area creates length in the face and also adds texture and dimension to a formal style. For those looking to have their hair pulled up and away from their faces a messy bun off to one side, or even a French twist are still trendy and excellent options. 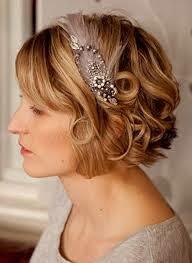 Something we did not see a lot of when I was younger was hair accessories, which are also increasing in popularity. Everything from flowers and jewels, to headbands, glitter and even fun colored extension pieces are bring used to dress up formal hairstyles and give them a fun and customized feel. When you go for your appointment, try to skip shampooing that morning, a little grit helps us get your hair to stay in place better. Also, take a minute beforehand to think about what you might like and bring a few photos to help your stylist visualize what you are seeing for your style. If you do choose to accessorize your formal hair, please bring your accessory with you so that we can place it on your hair and make sure it secure for you. Prom is a magical time for every teenager and we look forward to being a part of your special day! SoZo HAIR Salon Tips is a blog about beauty salon tips, tricks, and hints. SoZo HAIR by Bajon Salon & Spa serves the greater Cincinnati area. We are located in Olde West Chester at the corner of Cincinnati-Dayton and West Chester Rds. 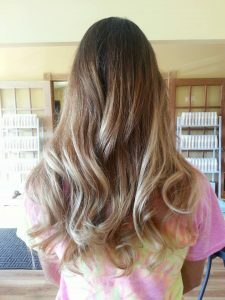 We’re just a short drive from Mason Oh and Fairfield Oh….a big city hair salon without the big drive and big traffic. Chelsea B. is a passionate hair designer with an up to the minute awareness of what’s happening in the hair, beauty, and fashion industry. Her passion shows immediately along with her very caring customer service skills! 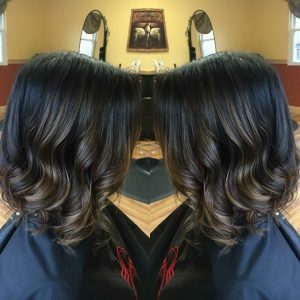 Karen Welch has 32 years of experience in the Hair Fashion Industry and is considered an expert in hair design, hair color, and beauty makeovers.